Right around September, I got out of bed not being able to walk on my right foot. I looked down at it and noticed that it was looking like it was curving inward. 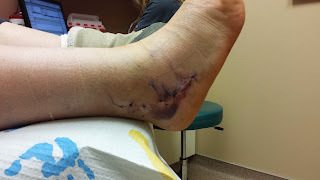 Against my wishes, my husband took me to the foot doctor were we learned that I had some ligament and tendon damage. 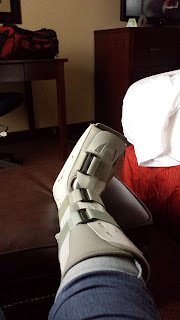 I was given a robo-boot (Air Cast) to use for 6 weeks and see if I made progress. Those 6 weeks were tough and full of back pains, accidental trips, and very slow climbs up and down the stairs. After 6 weeks, there was no improvement and surgery was a must. The surgery went well, but the next 48 hours would be the worst. I fell countless of times because my lack of balance and stubbornness. I say stubbornness because for some dumb reason I thought I could do things on my own. I was extremely embarrassed, humbled, and bruised. It wasn't until I let go of any pride I had, that I began to heal. My boys helped me with everything. From getting from one room to the other, cooking, cleaning, laundry, making my coffee, and supplying me with all kinds of chick flicks. 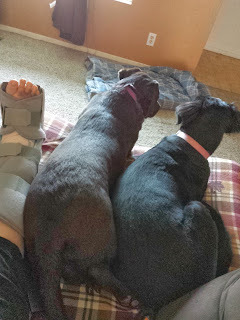 It's been about 9 days since my surgery and I am on the mend. 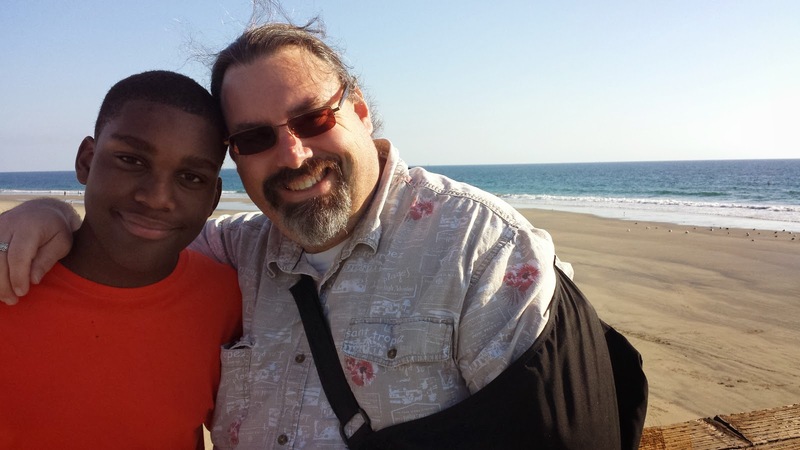 This time off my feet has allowed me to reflect on how truly blessed I am. Even my pups have been extra attentive. I must remember to be thankful in all things... even though it may take me a little longer than usual. Whatever happens, give thanks, because it is God's will in Christ Jesus that you do this.